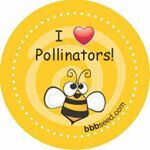 BBB Seed is committed to providing fresh, high quality, open-pollinated, non-GE (genetically engineered) seed so that you can have success with healthy, productive plantings for a healthy and sustainable environment. Grow. Enjoy. Share... The Beauty and The Bounty!